Powder Springs, Snellville and Mableton supermarkets will open over the course of four weeks starting January 16. Lidl starting later this month will open three new Georgia supermarkets, according to an announcement Wednesday. 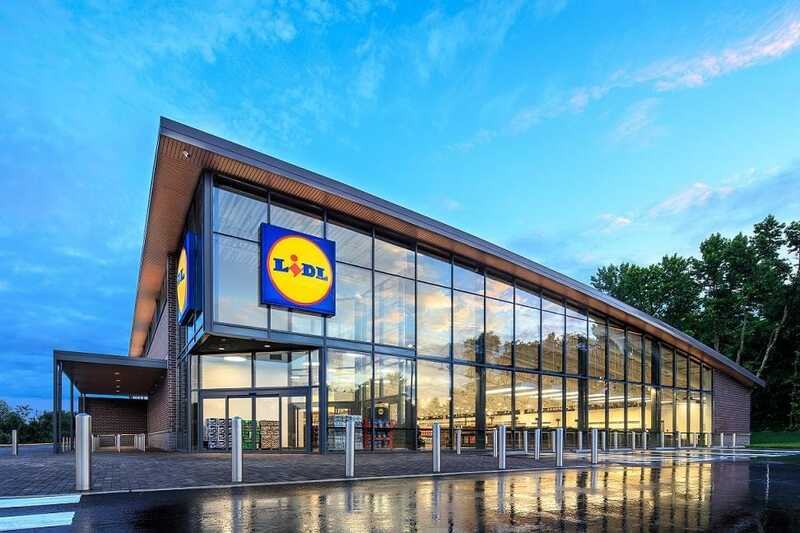 Powder Springs, Snellville, and Mableton over the course of four weeks, starting January 16, will each welcome a newly-built Lidl, joining the state's existing Augusta outpost which opened in 2017. At each of the new stores, customers will be able to take advantage of "get-them-while-you-can" grand opening special offers. On grand opening day, doors will open at 8 a.m., immediately following a ribbon-cutting ceremony, and the first 100 customers will be presented with a gift card ranging from $5 to $100 each. Shoppers can also sample an array of Lidl’s products and get a complimentary Lidl reusable bag while supplies last. In Powder Springs, Lidl will open January 16, at 2641 Powder Springs Road SW. The Snellville store, at 3821 Stone Mountain Hwy, will debut January 30. February 13 will be the grand opening date for the Mableton Lidl, at 4844 Floyd Road SW. The stores will be newly constructed facilities, featuring an "easy-to-shop layout" with six wide aisles and natural light. A bakery will be located at the entrance of the stores. Lidl works with thousands of American partners and suppliers. Roughly nine out of ten products sold at Lidl are its exclusive private label brands, and a majority of Lidl’s everyday assortment is sourced in America by Lidl’s U.S. team. Lidl’s new stores bring dozens of career opportunities to the area. Lidl’s wine range, which is curated by Lidl’s Master of Wine, Adam Lapierre, has won more than 250 medals at wine competitions across the country. Recently, Lidl was awarded more than 40 medals for its American wines at the 2018 San Francisco Chronicle Wine Competition, the largest American wine competition in the world. At the New York International Beer Competition, Lidl was named 2018 Beer Supermarket of the Year, winning awards for its brews including Brewer's Storehouse No. 3 amber ale. All fresh and frozen seafood in Lidl’s assortment is certified by either the Marine Stewardship Council (MSC), Best Aquaculture Practices (BAP), or the Aquaculture Stewardship Council (ASC). Lidl’s private label products also have no certified synthetic colors, added MSG or partially hydrogenated oils (PHOs) containing trans fats. Lidl carries organic and gluten-free items including organic fruit, vegetables, meat, dairy, and packaged food items. Lidl offers an ever-changing selection of non-food products each week that will be in stores for a limited time. The selection will include fitness gear, small kitchen appliances, toys, and outdoor furniture, among other non-food items. All three stores will be open from 8 a.m. to 10 p.m. Monday through Sunday. string(21) "Lidl - Powder Springs"
string(43) "2641 Powder Springs Rd SWMarietta, GA 30106"
string(43) "3821 Stone Mountain HwySnellville, GA 30039"
string(36) "4844 Floyd Rd SW, Mableton, GA 30126"
What do you bring to Atlanta Metropolitan Area that the other grocery, stores staples and the sort does not have already? ?